Last week we attended E-Commerce Paris/ Paris Retail Week. It was extremely hot but it was a fantastic and heart warming experience to catch up with French Magento Agencies and meet new ones. This coming week, all eyes are on the eCommerce Expo UK in London 28-29 September 2016. The event is taking place at Olympia in Hammersmith and will host over 5,000 senior eCommerce professionals and 100+ exhibitors. What we are particularly excited about is to see so many Magento Community players among the finalists for the eCommerce Awards for Excellence. Merchants, Agencies or SI, Service providers, “We Are Magento” are nominated in pretty much all the categories! That needs to be celebrated right? One great classic project is Jack Daniel’s by Vaimo. Love that video. No wonder they are finalists both in the “General Best eCommerce” and the “Best Groceries eCommerce” categories. Another one is Charlotte Tilbury by Space48 which was already nominated at the Magento Imagine Excellence Award for their International expansion. This time they are in for Best Health and Beauty eCommerce. Here are a couple more Awards finalists in the Magento Ecosystem whose achievements deserve some attention. As you all know, Conversion Rate Optimization (CRO) is a topic dear to our heart. In the offline world, you don’t often see people walk into a physical store, fill their basket and abandon it at the till. Yet, this seems to be the norm online. We all know it too well with today’s cart abandonment rate at 79% according to Listrak. Sam Allan from Ingenico Payments will be there to give you some key tips on how you can boost your checkout conversion rate. The half hour format is perfect for those with a short attention span (yes, you!). And to make it even more interesting, relevant and interactive, you can already tweet to @samallan24 with your questions using #smarterpayments #ECE16 @Ingenico_ePymts. If you run a Magento store, good news is that there is a silver bullet to reduce your cart abandonment rate and improve your conversion. That’s OneStepCheckout’s core business! Create a free test account here to see for yourself all the features that Ingenico ePayments can offer to your business. Williams Commerce is a Magento Gold Solutions Partner, and now Enterprise Partner with whom we’ve been collaborating since almost day one. Established in 2008 they have now delivered over 250 projects, opened 4 offices servicing the UK, Australia, Singapore, America, and the Middle East with more than 70 eCommerce experts. Industry wise, Williams Commerce has been appointed as the digital partner to the British Fashion Council, no less! They are helping upcoming designers with their digital strategy and eCommerce solution delivery. Marques Almeida, their latest project is including live streaming of the SS17 fashion show on their Magento store’s homepage! Williams Commerce is versatile. It’s not all bling and glamour. It’s not just candy for the eye… It’s also about business, the bread and the butter! That’s why we are particular proud that they’ve been nominated among the finalists of the eCommerce Excellence Awards in the Best B2B eCommerce category with Hancocks. Hancocks Cash and Carry was established in 1962 when Ray Hancock and his wife Liz started wholesaling confectionery from their UK sweet shop in Shepshed near Loughborough. Specialising in the wholesale of confectionery to independent retailers and other businesses, Hancocks Cash and Carry offers today in excess of 5,000 branded and own label products in each of its 20 sites. There is no larger range of sweets and chocolates available in the UK! 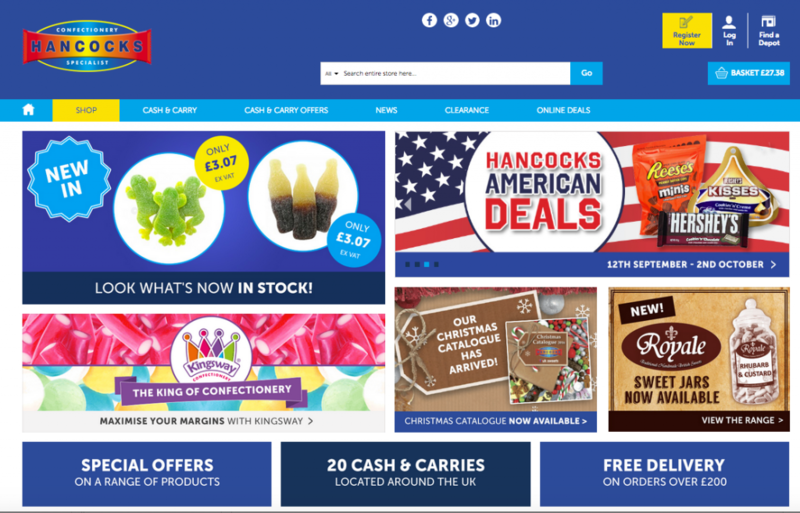 The cash and carry chain turns over in excess of £70m and has achieved consistent sales growth for many years, often bucking the trend of the UK confectionery industry. Best Practice: Don’t let things gets in the way between Hancocks retailers and their weight in lollies! Gotta have that sugar fix now! We also want to congratulate Williams Commerce for the nomination for Best eCommerce New Design or Re-Design with Science in Sport. Digital Boutique is a UK Magento agency or Solution Integrator, founded in 2010 with offices in London and Edinburgh. Having designed, built, tested, hosted and supported industry-leading Magento eCommerce websites they have gained a history of enterprise-level expertise. As Magento certified specialists, Digital Boutique are dedicated to providing a range of world class, eCommerce services to leading enterprises and renowned brands such as Antler, Letts Group, Gandys and Floris London. 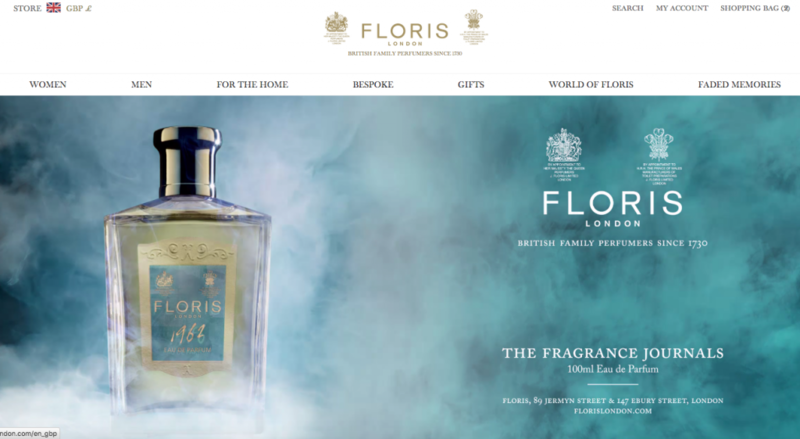 One joint customer we are particularly proud of is Floris. You might not know this brand of fragrance because it is not a globally mass marketed brand. Floris is very special. It has long been known as Perfumers to the British Royal Family and have an extraordinary repertoire of famous clients including Marilyn Monroe and Winston Churchill. Digital Boutique won the honor to be chosen to re-brand, design, develop and support a new website on the Magento Enterprise platform. Best practice: it’s so easy to lose a customer who makes an impulse purchase of £120 that you’d better offer a super quick checkout process! 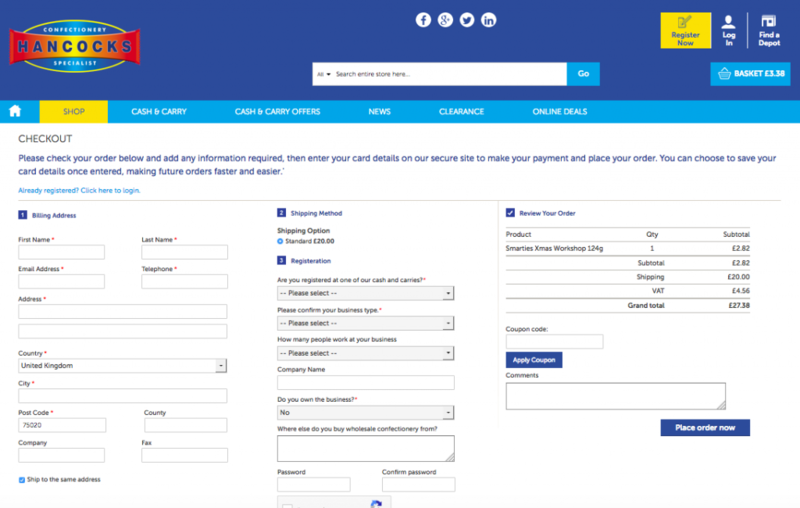 Add pages only to add value to your shopper. 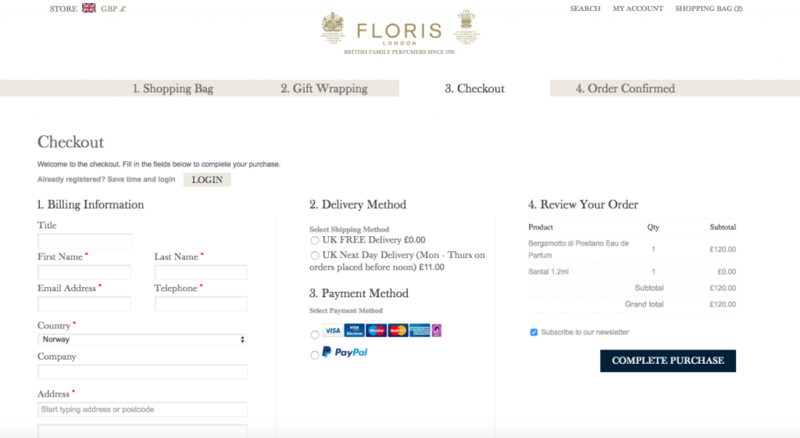 Floris takes you through a page for gift wrapping options then a separate page to select your free samples but then cuts down on the boring form filling. Founded in 1999 by Maria Hatzistefanis, Rodial was designed to bridge a gap in the market for high performance skincare, offering targeted, results driven treatments. Their high tech, cutting-edge products now enjoy an extensive celebrity following and are available in more than 2000 stores, across 35 countries. 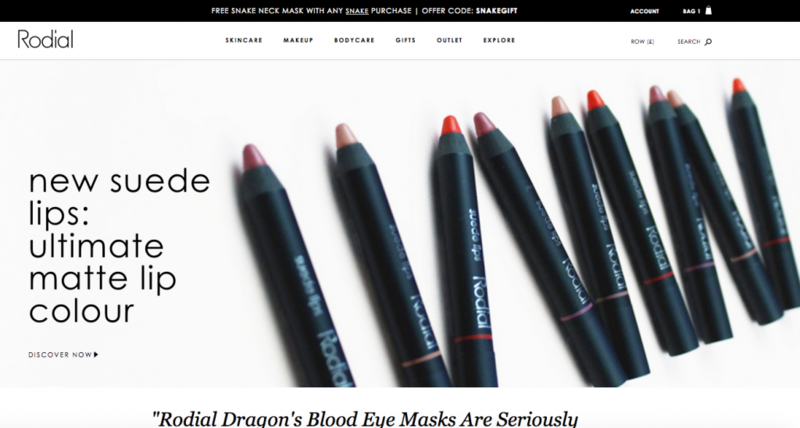 To build on that success, the team at Rodial wanted to boost online sales and to connect with their growing fan base in a more engaging and inspiring way. In order to achieve that desire they would require an eCommerce solution that not only linked with global markets, but also meshed with each customer’s specific requirements. Digital Boutique was chosen and translated that strategy into personalised content, pricing, currency, tax and delivery options, along with a focused search function to allow customers, no matter who or where they are, to shop effortlessly online. 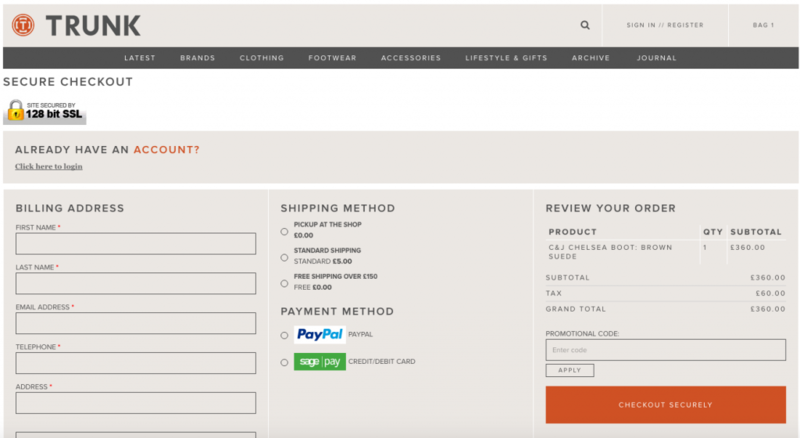 Best Practice: because beauty doesn’t wait, Rodial chose to display a first page with a very simple email capture (account creation optional), and then our OneStepCheckout sleek UX design. Digital Boutique will have a booth over the two days of the expo. There will be two Garys to talk to: Gary Landa the MD of the agency and Gary Farmer who will be more than happy take a selfie with you and share it on social media. Otherwise you can have a chat to Karim, their secret weapon who worked on TV, radio, computer science and who’s also a tennis champion! Swag and goodies-wise, you might score yourself a sample of the Queen’s own perfume or some exclusive Dragon Blood Sculpting Gel. Last but not least, Propeller is Propeller is a full service Digital Agency, specialising in Web Design & Development for Hospitality, Lifestyle and eCommerce. They’ve been around for over 10 years and their multi-disciplinary team of 70 digital specialists brings a wide variety and robust level of expertise with offices in London and Rugby. This year at the eCommerce Expo 2016 they are nominated as finalists in 6 categories! Best Agency – eCommerce Design, Creative, Marketing, Social Media, PR etc. 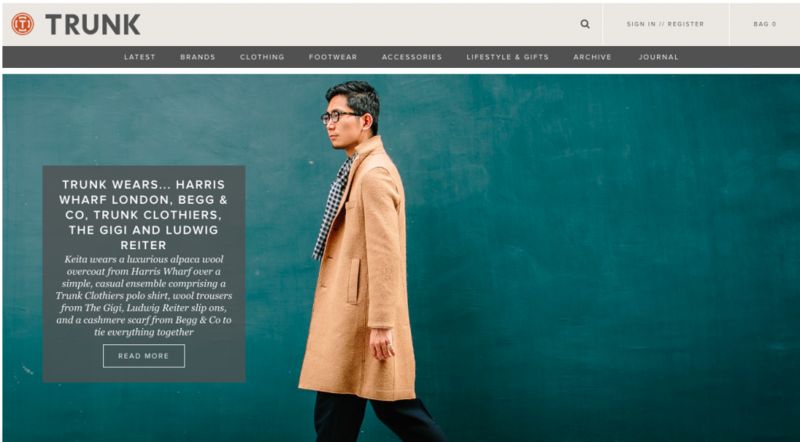 Let’s have a look at Trunk Clothiers which was rebuilt using Magento. Trunk Clothiers is a cosy neighbourhood shop featuring collections of the best menswear and accessories curated from Italy or even Japan. Since its launch in September 2010, Trunk Clothiers has introduced a new style of menswear retailing to London, quickly amassing a loyal group of admirers from around the globe. Located at No.8 on Marylebone’s Chiltern Street, The shop brings together a lovingly curated range setting a new standard for gentlemen seeking modern classics of the highest quality matched with impeccable service. Best Practice: Impeccable service means not being intrusive and allowing busy and demanding customers to get what they want, fast. 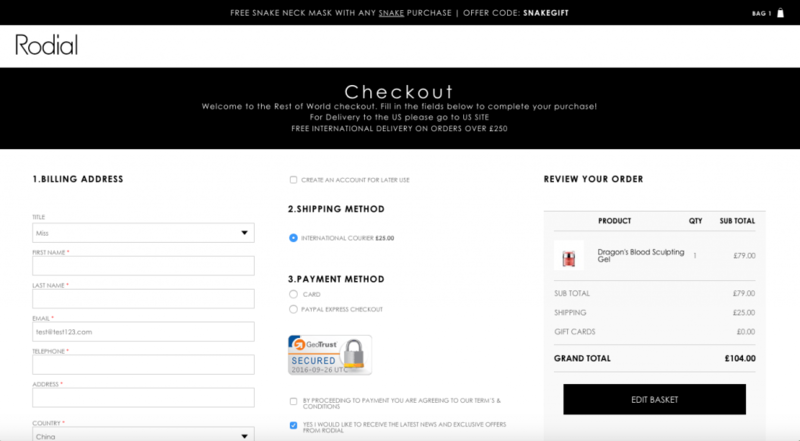 It also translates into offering free shopping options alongside their affordable standard shipping. We are truly honored to be the experts choice again when it comes to Magento checkout. 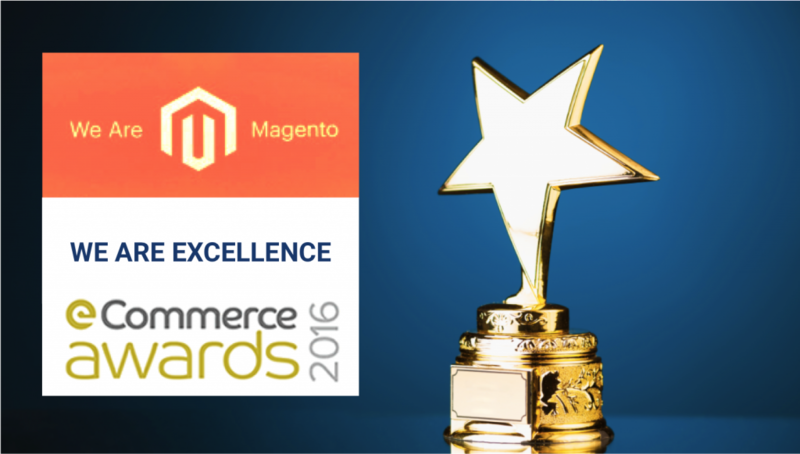 We were already quite proud we were chosen by finalists at the Magento Imagine Excellence Awards in Las Vegas in April 2016. This week, we wish our finalists at the Excellence Award at of the eCommerce Expo in London best of luck, and can’t wait to share pictures of the teams and their trophies on Twitter! Your Mage-esty Rebecca Troth will be representing iWeb and handing out her new business cards. Love the pink! Give her a hug on my behalf. Pinpoint Designs will be there. Has anyone ever wondered how old Lewis really is? Our friends at Logicspot will be there too. It’s one event they never miss. Read here why.